Home / brand new / brand new artist / Emily Brimlow / música / video premiere / Emily Brimlow Unveils New Single "Calling Me Home"
Emily Brimlow Unveils New Single "Calling Me Home"
Canadian soul singer, songwriter Emily Brimlow, now based in California, has just unveiled her brand new single Calling Me Home. What first caught my attention to this song was its infectious rhythm and the tone of her soulful vocals. This is one of those songs that get you in a good mood in no time. I really liked the vocal harmonies and the playful, summery atmosphere that will get you warm in the coming winter days. 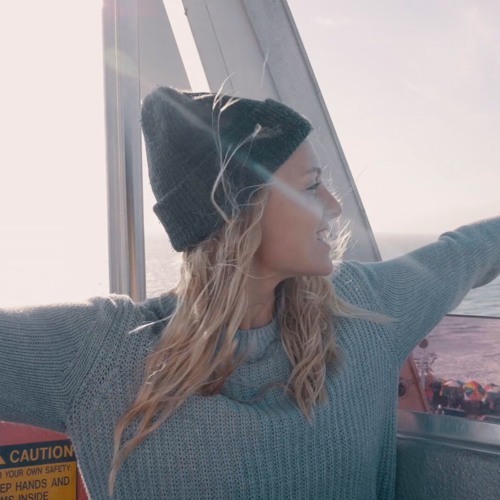 To highlight the feel-good atmosphere of the song, Emily shared the official music video on which we can see her having fun at a Carnival Fair and in the sun by the beach. Watch it below! Emily is known for her unique blend of soul, RnB, hip-hop, and world music with Calling Me Home being influenced by such genres but with a more pop approach which paid off perfectly. Since a young age, Emily has been immersed in music. She began singing and playing guitar at family “shindigs” under the tutelage of her father, also an accomplished musician. After high school, Emily spent time in Australia where she toured with her band bringing music to small towns in Australia’s outback. Emily began her career singing with a band in Australia, on a tour. Emily believed that music is the universal language of love that connects people regardless of their personal history, experiences or beliefs. Performing and sharing music is Emily’s way of bringing all different types of people together. Her joy in performing is gathering people and creating an experience that's never happened before.